Fiverr is well known for offering some very cool and unique services for (funnily enough) $5, or at least that was the original concept, nowadays you can find services that are priced as a multiple of 5, so still keeping with the whole “Fiverr” brand while giving sellers a bit more flexibility. One thing to note before going ahead, as you are technically buying backlinks it makes using backlinks from Fiverr a black hat SEO method, but this depends more on your methodology when it comes to SEO, and as with most things, its a tool that has its effectiveness determined by the user, so can be used well, or VERY poorly. And all have their respective uses, but virtually never on your money site, as these networks are so abused that use on your money site is basically asking to be penalised by the big boi Google. What Fiverr Backlinks can be effective with is saving time and building links to lower tiers in a tiered link building strategy. Essentially the core concept of tiered link building is to build links in a way as above, with the tier 1 links going to your site being very high quality, and the lower tiers having lower quality links, with the benefit being that you pass pagerank (or PA/DA, whatever) through the tiers while ensuring that your money site is only linked by quality resources, essentially passing link juice by proxy. 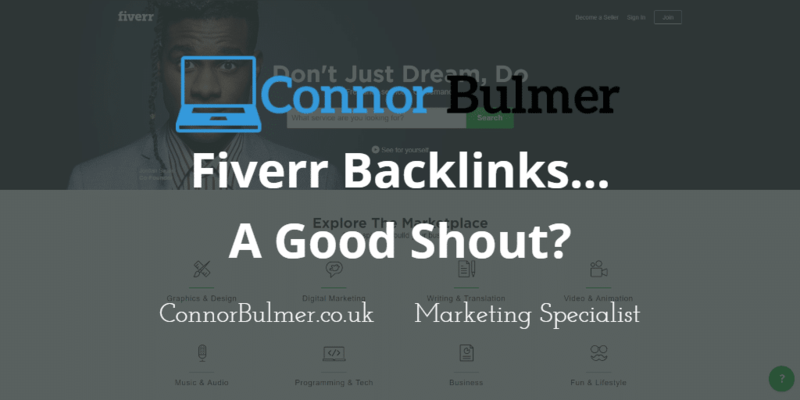 Fiverr Backlinks are fantastic for building the lower tiers, as they are cheap and save tons of time, but it is too risky in my opinion to be using Fiverr Backlinks directly on your money site.